Graham “Buzz” Bidstrup was born in Adelaide on the 30th August 1952 and has spent his entire working life in the music industry despite gaining tertiary qualifications in Mechanical Engineering. 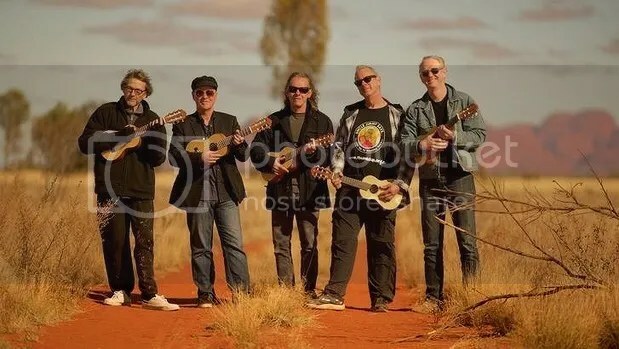 He began his career as a musician and song-writer in the mid 1960’s with local Adelaide band Fahrenheit 451 and played in many other bands before joining The Angels in 1976. He has also taken the roles of producer, engineer, manager, agent and publicist in many of his later projects including the bands GANGgajang and The Stetsons. Buzz has a unique insiders long term knowledge of an Industry that has seen major changes, especially in the last 2 decades. From his first recording experience as a teenager direct to acetate disc in 1966 through to operating advanced computer programs like protools and logic, Buzz has worked with every recording medium. He learned his basic recording and production skills while signed to Alberts records under the mentorship of George Young and Harry Vanda and honed them throughout the heady days of the Australian music Industry in the 1970,s and 80’s as a producer of many young bands, solo artists and recording and producing movie and television soundtracks. While engineering and producing was a major part of his life in the 70’s and 80’s, he was also moving into the management of the bands he was part of and this was apparent with GANGgajang, where he co wrote, produced and managed the band from startup. Later he managed young emerging artist Diana Ah Naid and co managed Nathan Cavaleri and after producing their debut albums. In 1999 Buzz was introduced to legendary entertainer Jimmy Little and began working as an agent / manager during the release of his “Messenger” album. The journey continued for Buzz into Aboriginal Australia and led to him establishing a charity with Jimmy in 2005 called The Jimmy Little Foundation. Buzz was the CEO of the JLF from the beginning until stepping down in early 2016. He remains the CEO and Managing Director of Uncle Jimmy Thumbs up! LTD, a not for profit charitable company that has delivered nutrition and other health related lifestyle programs into over 50 remote Aboriginal communities across Australia. The experience of setting up and running these organisations that has attracted over 3 million in Government grants and corporate and private donations has given Buzz a great deal of knowledge and experience in how to manage charitable organisations with true cultural and operational governance and fiscal and social accountability. Buzz continues to be involved in the management of several artists and has begun to use his knowledge and experience to mentor younger managers in a consultative role. As a long time board member of the Association of Artist Managers with the past four years as Vice Chair, Buzz is in touch with the most successful managers in Australia and many young start up managers. His experience and knowledge of the Industry has been valuable to many young managers and in 2013 he formalised an Indigenous management mentor program with Jimmy’s record Company Warner Music Australia that sees guaranteed funding for the program well into 2020’s. As part of his speaking engagements, Buzz can tell many factual interesting stories about the people he has met along the way in the music world, while also giving a broad outline and first hand experience into the world of Non for profit companies and his work in Australian Indigenous communities. Graham “Buzz” Bidstrup travels from Sydney, New South Wales. Devising and delivering multi sectored programs for Corporate, Philanthropic and government funding. Conducting a relationship while building a career.